Whitney Vickers | Greene County News Fairborn High School seniors walked the halls for the final time May 23. 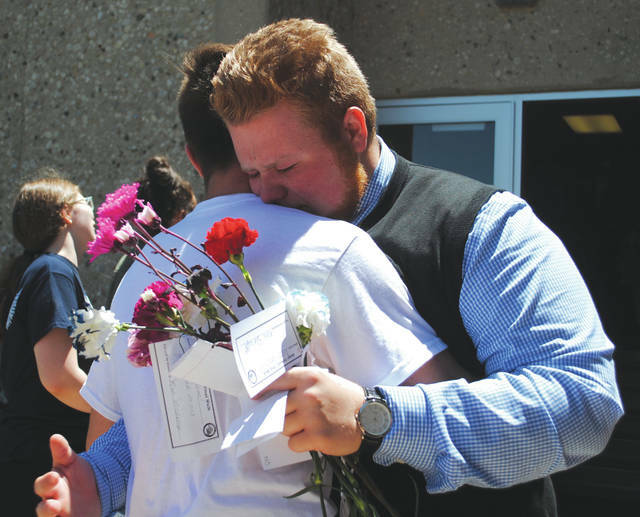 Teachers and underclassmen lined the hallways to say goodbye with hugs, flowers and well wishes. The 163 seniors will officially graduate from Fairborn High School at the commencement ceremony slated for 7 p.m. Friday, May 25 at the Wright State University Nutter Center. Fairborn High School seniors walked the halls for the final time May 23. 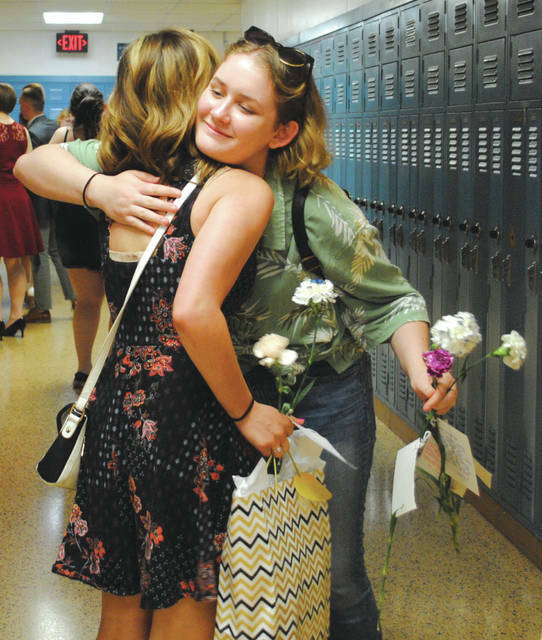 Teachers and underclassmen lined the hallways to say goodbye with hugs, flowers and well wishes. https://www.fairborndailyherald.com/wp-content/uploads/sites/50/2018/05/web1_finalwalk8.jpgWhitney Vickers | Greene County News Fairborn High School seniors walked the halls for the final time May 23. 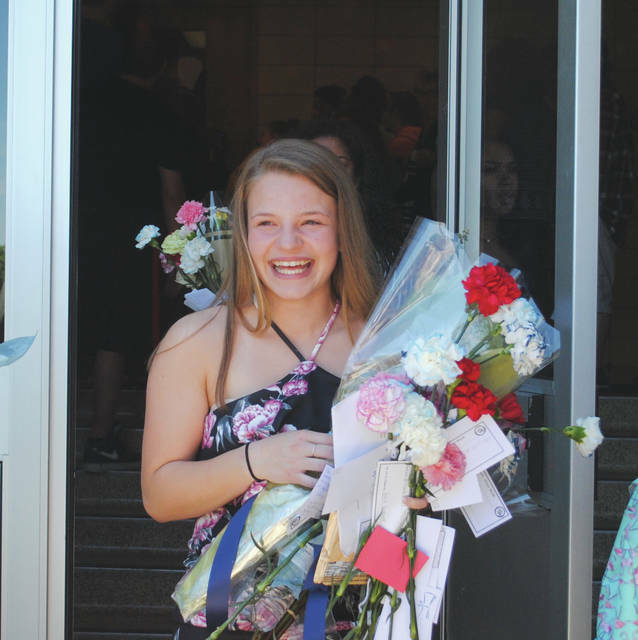 Teachers and underclassmen lined the hallways to say goodbye with hugs, flowers and well wishes. https://www.fairborndailyherald.com/wp-content/uploads/sites/50/2018/05/web1_finalwalk1.jpgWhitney Vickers | Greene County News Fairborn High School seniors walked the halls for the final time May 23. 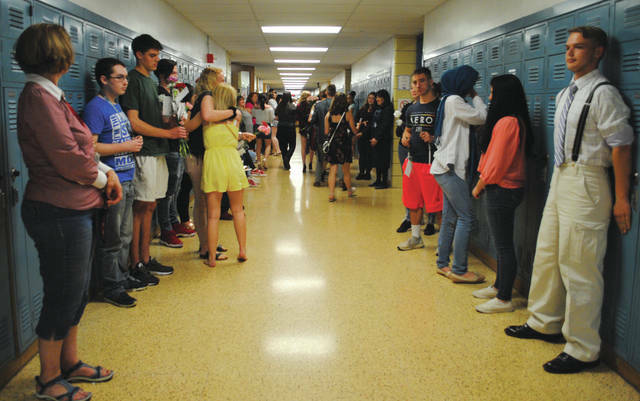 Teachers and underclassmen lined the hallways to say goodbye with hugs, flowers and well wishes. https://www.fairborndailyherald.com/wp-content/uploads/sites/50/2018/05/web1_finalwalk4.jpgThe 163 seniors will officially graduate from Fairborn High School at the commencement ceremony slated for 7 p.m. Friday, May 25 at the Wright State University Nutter Center. https://www.fairborndailyherald.com/wp-content/uploads/sites/50/2018/05/web1_finalwalk5.jpgThe 163 seniors will officially graduate from Fairborn High School at the commencement ceremony slated for 7 p.m. Friday, May 25 at the Wright State University Nutter Center.